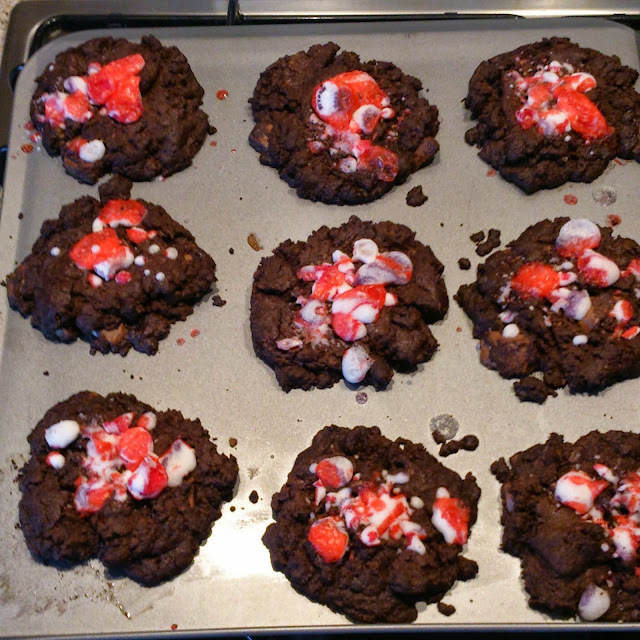 Me and E did some more baking; rock and chocolate cookies! She did the bashing of the rock and chocolate (with a huge grin on her face) and helped mix the flour in. They're a bit tricky to get off the tray but so yummy!